Location: The volcano is associated with the Eastern volcanic belt and is located about 13 km south of Kronotsky lake, in 200 km from Petropavlovsk-Kamchatsky. 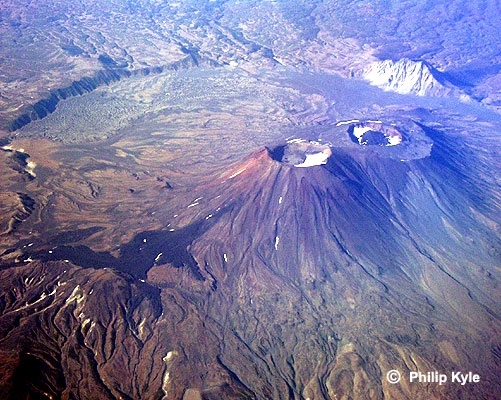 Possible therminal eruptions and lateral on the volcanic slopes or at the southern part of caldera. Potential hazards are ash plumes, ash falls, pyroclastic and lava flows and lahars.